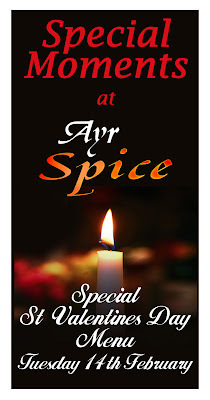 Celebrity TV chef Mafiz Ali has concocted not just one, but TWO enchantingly romantic menus at Ayr Spice Indian Restaurant in Minishant, South Ayrshire to celebrate St Valentine‘s Day on Tuesday 14 February. 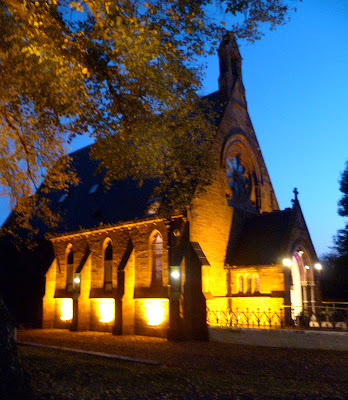 And the restaurant’s history and beautiful setting will add additional touches of spice and romance to what will undoubtedly be a night to remember for everyone fortunate enough to be there. 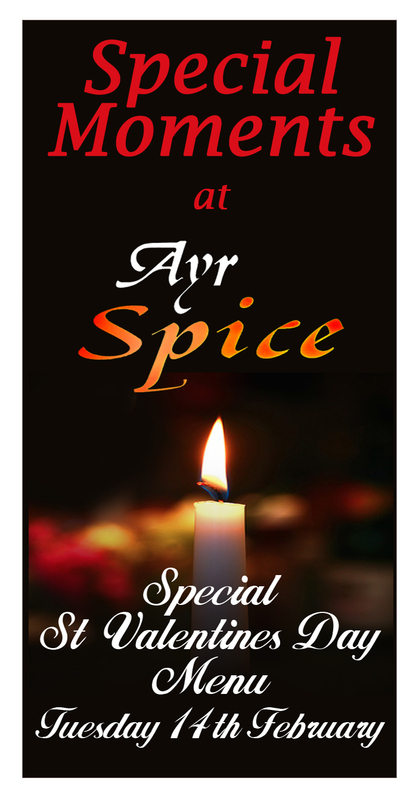 For Ayr Spice Indian Cuisine is housed in the fine old red sandstone Memorial church at the entrance to the picturesque village of Minishant, 5 miles south of Ayr on the A77. The church was erected by the thread magnate Sir Peter Coats of nearby Auchendrane, in loving memory of his wife Glorianna, who died in 1877. The special St Valentine’s Day menu will be available from Friday 19 February to Saturday 18 February by prior booking only. Normal A la carte menu always available. * Badami Passanda chicken or lamb – tender lamb or chicken marinated in yogurt in a special blend of herbs, spices and almonds in a light and creamy sauce with a dash of red wine. * Chicken or lamb Tofa – a very special dish from the Chilaura district - roasted pieces of chicken or lamb cooked with green chillies, tamarind, fresh coriander and green pepper and served with an aromatically-spiced sauce. 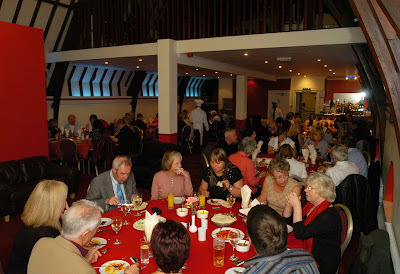 * Shobji special Kufta – lightly-spiced mixed vegetables cooked in a spicy sauce with baked tomato and capsicum and garnished with spring-onion and coriander. * Priya Goshty roll – lamb or chicken cooked with fresh onion and spices and served with a lightly-fried Puri-bread. 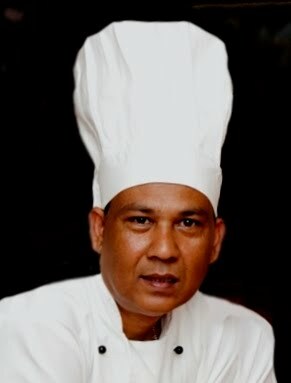 * Bengali stir-fry – delicious filet of fresh-water fish marinated in Ayr Spice “Spicy sauce” with fresh herbs and grilled in a charcoal oven. * Mango extra murgi korma – chicken with almonds and sliced mango cooked in a rich, creamy sauce with a dash of “Grand Marnier” – the perfect Valentine’s special! * Tetul Tanga – chicken, lamb or vegetable Kofta cooked in a home-made spicy and sour sauce creating a unique flavour and garnished with spring-onion and coriander – highly recommended! * Beef Shatkova Bhuna - beef slice cooked with Shatkova (citrus fruit) from the Sylhet region of Bangladesh with a unique, authentic, sour flavour.